This evening we had the pleasure to see for the first time the designs by Mary Katrantzou on a greek catwalk in Athens. 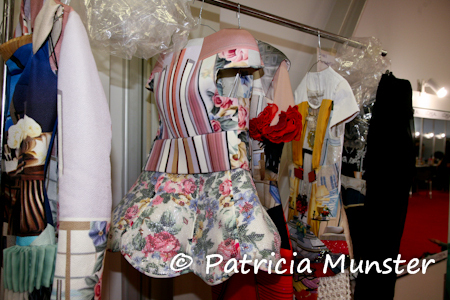 Always working with prints, this greek born designer has already showed her collections at London Fashion Week. Her spring/summer 2011 collection is inspired by photography of Helmut Newton and Guy Bourdin during the seventies. Interiors in the pictures are as important as the models. The young designer wanted to put the room on the woman rather than the woman in the room. But also taking care of detail like mini-crinis echoed lampshades with dangling pendants of crystal. The dresses are looking so desirable, that you want to wear them by yourself. Not only the prints are original but also the silhouettes are attractive. 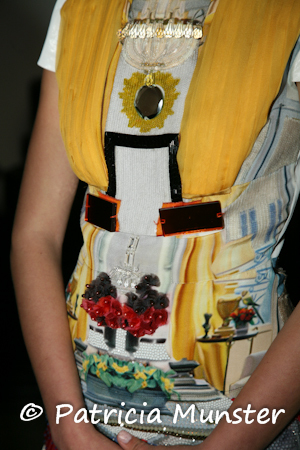 Small pieces of art..
Let's start the show and I hope we will see more of Mary Katrantzou in Athens!